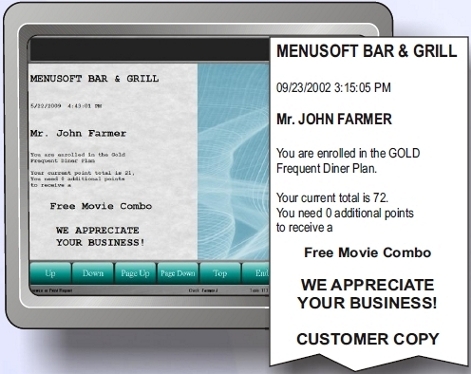 Attract new customers and keep them coming back with Digital Dining’s Frequent Diner program. Digital Dining gives you the tools to create and maintain customer loyalty through reward plans while increasing sales in your restaurant. The customer database stores vital customer information that helps you get to know your patrons and their preferences and then create promotions that cater to those interests. You can select customer information by specific interests and print mailing labels for those customers only. Rich with features and configurable for any type of restaurant, Frequent Diner is the most robust integrated customer loyalty program in the industry. We include Frequent Diner in the Digital Dining Professional suite. For restaurants with multiple sites, we offer Multistore Frequent Diner, which enables customers to use a single reward card to earn and redeem reward points in any location.